Eastvaal Standerton has been part of the Eastvaal Motors group since 2006. 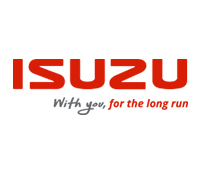 The dealership includes the GWM and Isuzu franchises. The branch has a fully furnished workshop with the most qualified technicians available to ensure the best after-sales service. We strive to be the best Motor Dealer in our area of responsibility by delivering excellent service in sales, parts and after sales departments. We love our customers and look forward to provide you with excellent service.